This patient suffered cardiac arrest prior to examination and was resuscitated. During the examination the circulation stopped again and injected contrast filled superior vena cava, right atrium and hepatic veins only. 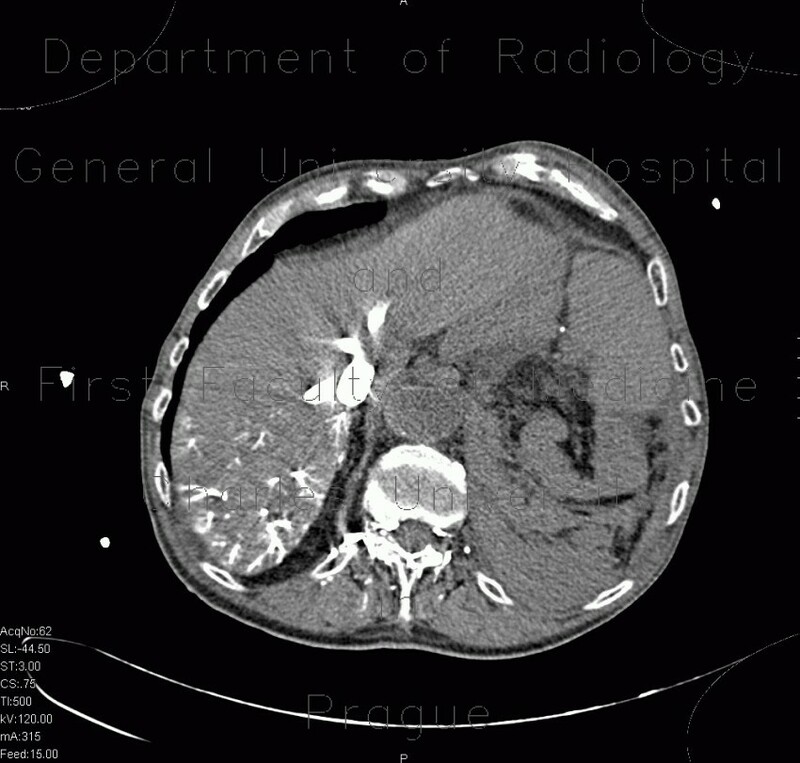 Despite this, unenhanced scans showed ruptured aneurysm of abdominal aorta with massive retroperitoneal hemorrhage.